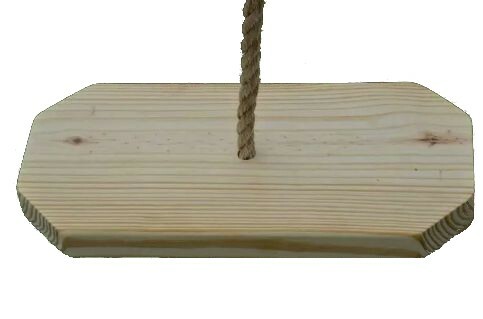 Our Premium Wild Cherry 24 Inch Wooden Tree Swing measures 24” x 9” x 1.75”. 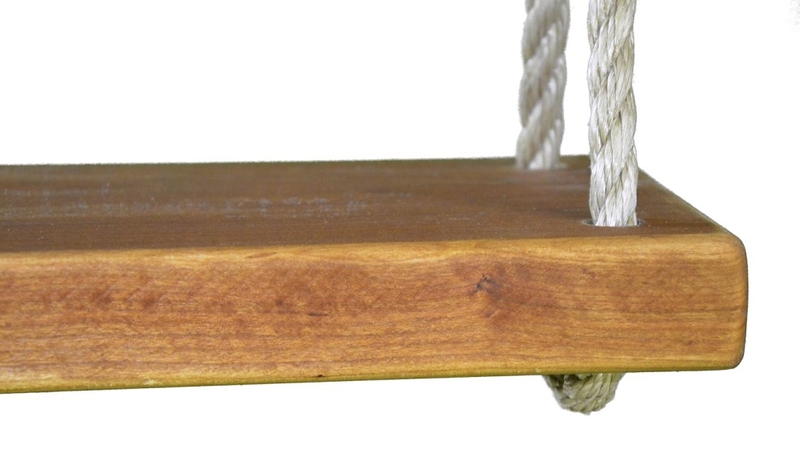 Each swing is hand rubbed in oil to make the rich, cherry grain in this piece come alive. 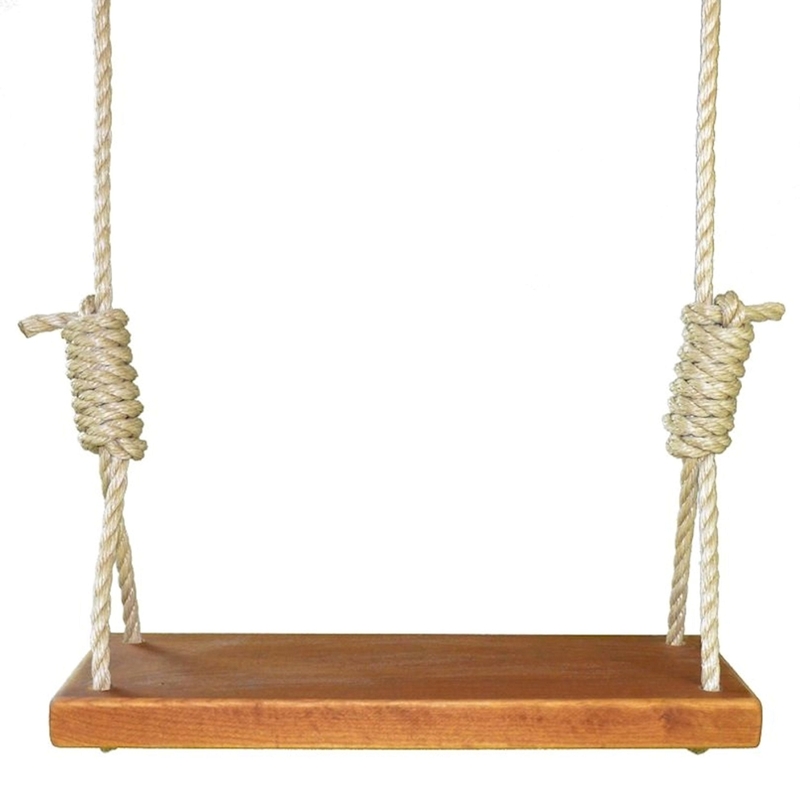 The grain in this swing is just spectacular. 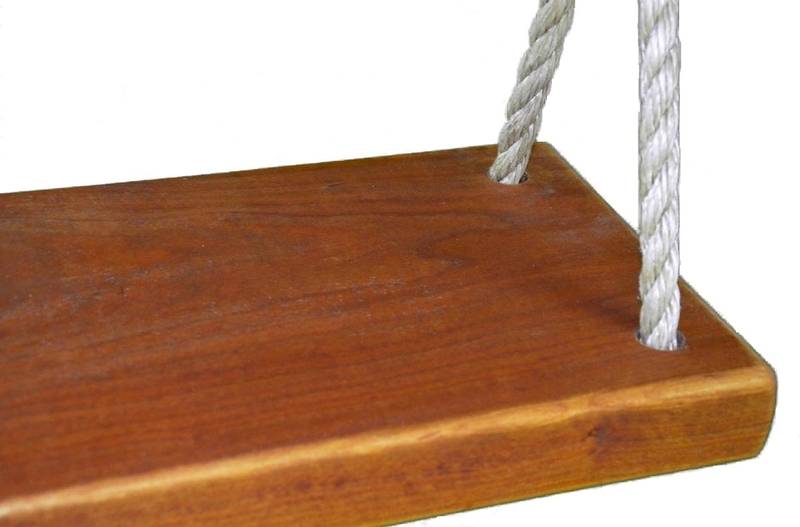 Each piece is hand sanded to a smooth professional finish. 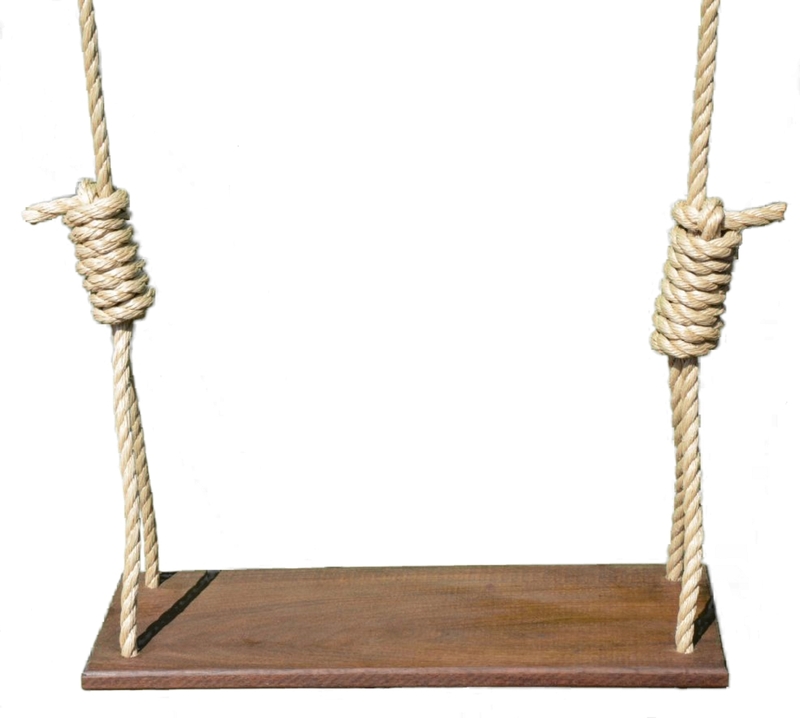 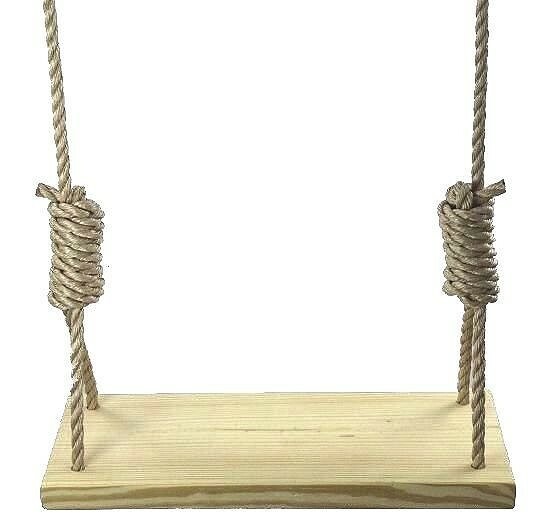 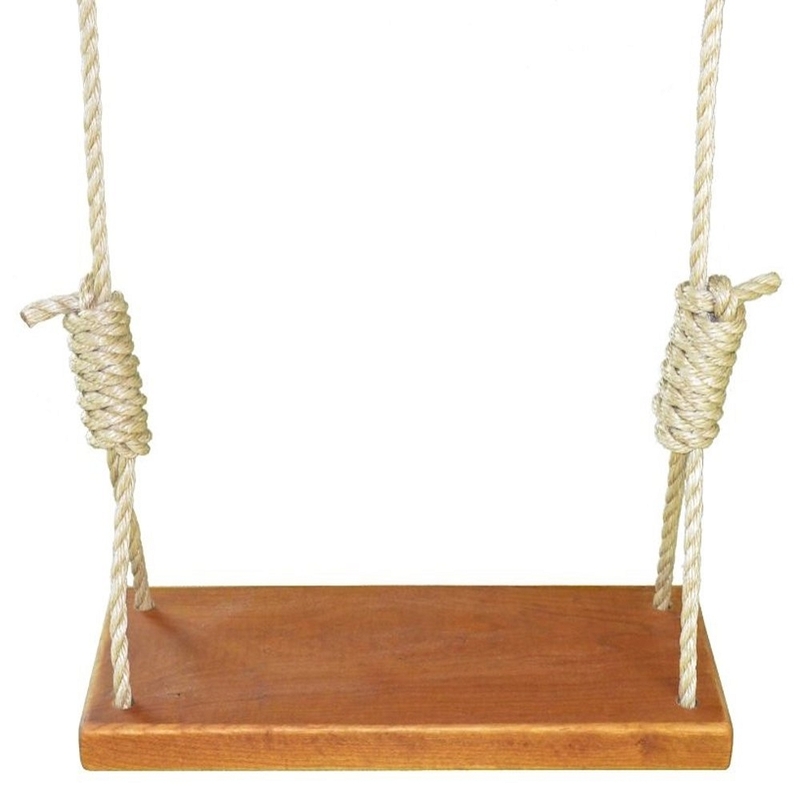 Each swing comes with 12 feet of 5/8” Polypropylene rope on each side. 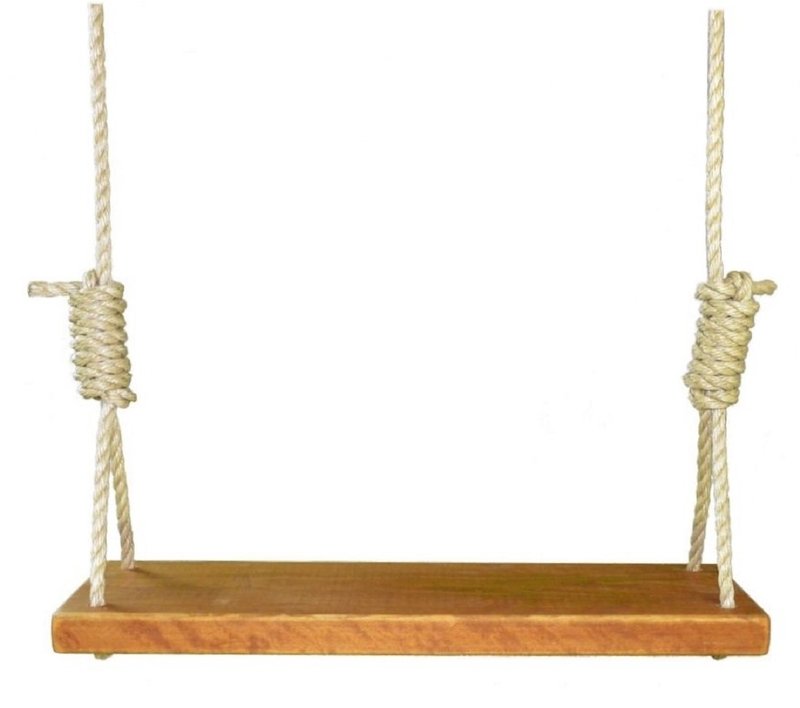 Hanging hardware is included. 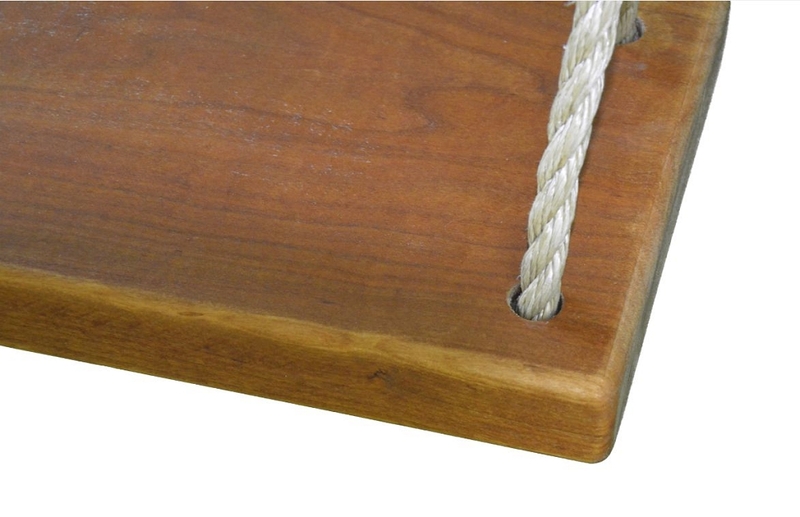 12 ft of 5/8" Tan Polypropylene Rope (work load 350lbs)(breaking strength 3780 lbs) on each side.